Let me preface this by saying, this is in no way, shape, or form sponsored or promoted by Thrive Market. I just seriously love them and their products that much. I first stumbled upon Thrive Market when I began Whole30 because of their Whole30 starter kit. Which I can’t say enough good things about. It made my first Whole30 experience as easy as possible. Since then I’ve used them to stock up on essentials as well as trying out new products that I would never find in the Louisville market. I’ve meant to publish a Thrive Market Review for months now, but sometimes life gets in the way. Happy to say though that I’m home for a few weeks and am getting to publish some non-sponsored content that I love to stand behind. So without further ado here’s my honest Thrive Market review. So I’ll be the first to say I’m typically wary of having to register for a site just to use it. Not to mention I think most subscription sites aren’t worth it, but their registration was free and landed me 15% off my first order. Literally had nothing to lose, and if it could make Whole30 easier than by all means sign me up. I saved $59 on my first order. Which just happens to be the cost of a membership. Needless to say, I was already pleasantly surprised. After your first order you start a 30-day membership trial to see how much you say, and you’re able to cancel at anytime. I made two more orders over those 30 days and saved a total of $96.07. I’m sure you know what happened next. I kept ordering, kept saving, and here we are today. 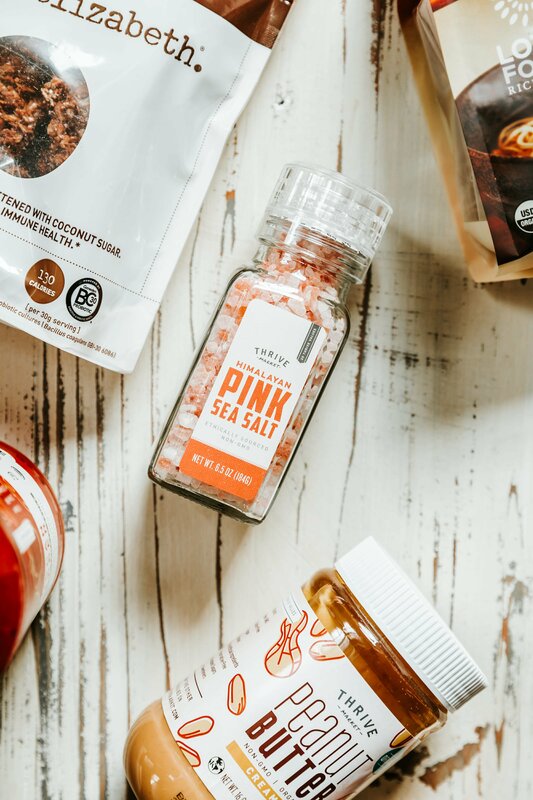 There are a lot of things, besides the savings, that set Thrive Market apart from other retailers. Like a completely GMO free catalog and deep, deep discounts on organic products. My favorite thing about them though? How I’m able to give back while saving money. Once you join Thrive Market you play an integral part in sponsoring a free member for a low-income family. Meaning that you’re responsible for helping low-income families access healthy and affordable food for their families. I’m a big believer in paying it forward, and I couldn’t think of a better way to do it than with Thrive Market. They’re able to do all of this by cutting out the middle men and their corresponding retail markups. Making access to healthier options easier than ever for all of us. Cause we all know just how expensive trips to a typical health food retailer can be. Thrive Market members can typically save between 25-50% off retail prices, and most members make back their membership fee in savings within their first two words. So far this year I’ve saved $265.75 and have only placed 7 orders. Obviously making back my membership fee and then some. 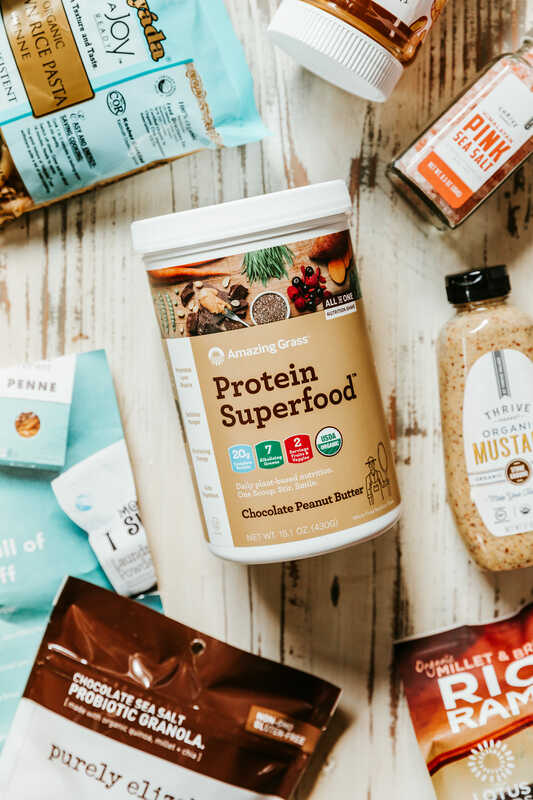 So if you find yourself in a place in your life where you’re ready to start eating healthier, but your bank account doesn’t feel the same Thrive Market might be the perfect solution for you. They’re empowering over 400,000 members and their families to live their best lives. They also realize that living your best life shouldn’t cost you an arm and a leg. Sound like something you’re interested in? Sign up at thrv.me/thekentuckygent for 25% off your first order. I promise you the savings will keep adding up. Not to mention you’ll have the chance to support less fortunate families while you’re at it. It’s never been so easy to give back while treating yourself at the same time.